If you are facing bankruptcy, you’ve probably already realized that your credit score is going to take some damage. You now want to know the hit your credit score will take, how long it will take to recover from bankruptcy, and how to find someone to help you through the process. How far your credit will plunge is entirely dependent on where your credit score is at when you file. After bankruptcy, most credit scores end up in the 520-540 range regardless of where your credit began, so your score will fall much farther if you start with a score of 720 than it would if you’re starting at 600. When it’s time to file for bankruptcy, you need to decide if you will file for Chapter 7 or Chapter 13 bankruptcy. Chapter 7 bankruptcy, sometimes referred to as a “straight bankruptcy,” offers a clean slate and a fresh start. But it comes at a high cost—your assets are liquidated and used to pay off as much of your debt as possible, and it stays on your credit report for ten years. If you have a large number of personal assets, this may not be your best option. According to a financial advisor specializing in bankruptcy in Utah, Chapter 13 bankruptcy is for those who have property they wish to keep. It reorganizes your debt and helps you create a plan to pay off your debt over a period of three to five years. With Chapter 13 bankruptcy, your assets and property will be left alone, for the most part, making this option more popular with homeowners than Chapter 7. 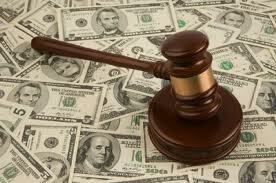 At the end of a period of time determined by the terms of the Chapter 13 bankruptcy, the remaining debts are forgiven. Filing for bankruptcy isn’t the sort of thing you should try to do alone, and it may not be the right decision at all for you. The most important first step you can take is to schedule a financial consultation with a good bankruptcy lawyer, whose job it is to educate you and help you make the best decisions possible regarding your financial future. A bankruptcy lawyer can assist you in understanding the consequences of bankruptcy, assessing your alternatives and reaching an informed conclusion as to how to manage your financial situation from there on out. Your financial situation now could very well influence the rest of your life, so it’s of the utmost importance to gain as much education as possible on how bankruptcy will change that situation before moving forward. Our government has laws in place to protect those who file for bankruptcy, but trying to navigate them on your own can be nearly impossible. An experienced bankruptcy lawyer can help you make sense of the legal and financial jargon, getting you the best deal possible when it comes to the terms of your bankruptcy. A bankruptcy lawyer may also be able to coach you through preserving some of your credit during the course of your filing and subsequent bankruptcy period. These professionals often have experience with money management techniques and debt relief strategies—use this experience to your benefit by inquiring about strategies you can use to quickly rebuild your credit after declaring bankruptcy. Filing for bankruptcy can be a scary, but necessary, decision you have to make to ensure a better financial future for yourself. Your damaged credit will not last forever, and in time you will be able to rebuild your score. You are taking a fresh step to a brighter financial future.